The farm was looking like a weed jungle, so I had it rotor-tilled. Yes, I know, this is supposed to be a sailing blog, a boat blog, an adventure blog, anything but a farm blog! What can you do, I'm just a farm boy who's got this thing about sailboats and adventure. At least the farm is 200 m from the ocean, so close I can hear the waves rumbling on the beach and smell the salt. Made a gruesome discovery. A bloated rotting dog floating in the water well. Good thing it wasn't a human body. Just in case you suspect I've become a landlubber here is a picture of Jakatar off the coast of Peniche. That's enough daydreaming, I've got a huge translation to finish. If you want real excitement check out Pete's adventures of getting his first boat on the water https://sailingzootallures.wordpress.com/. For those who haven't experienced giving birth to a boat, there's just no way to explain it. After ten years of sailing to the Algarve in the summer, this year I'm staying home partly because of the transmission partly because of the holiday home rental business. Does that mean I won't be sailing to the Algarve anymore? No. I'll either get someone to take care of the rental business while I'm away or I'll go off season. Going off season sounds more logical: there's more room in the anchorages and less worries about marina day-trippers who drop their anchor anywhere, even over yours, without a care in the world as if they had just pulled into a marina slip. Besides, this way I'll meet real cruisers instead of yachties. And did you ever notice that you meet more people in places with less people. 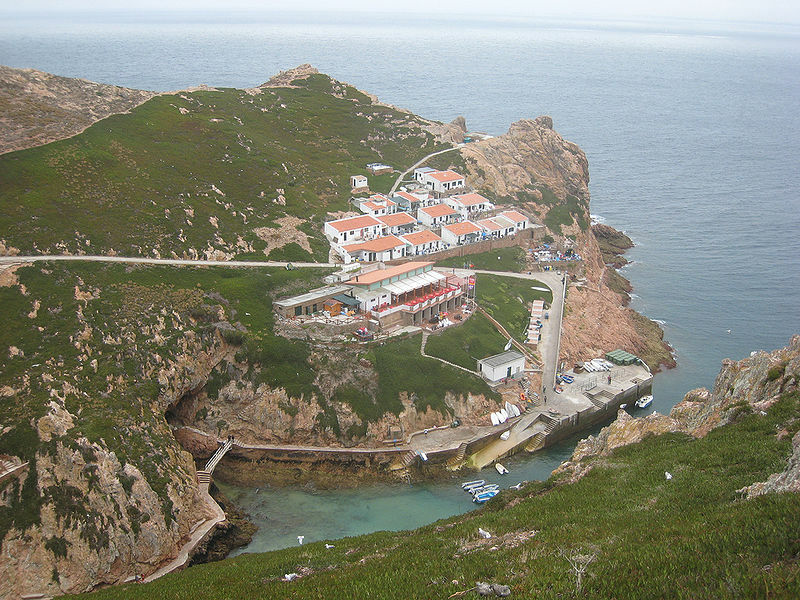 This year, as compensation, I can visit the Berlengas island and hang out with the locals. The anchorage (where the bottom is sandy) is about 20 m deep, but its almost always sheltered from the north wind and waves. If the weather changes to a southerly direction, get on out of there and beat it back to Peniche. I intend to shoot some film this summer, or even earlier, as a prelude for anyone visiting the area. Yahoo! I just got my first PayPayl payment for Villa Oasis as I was writing this post. OK, that means I'm going for a drink. Ha, I wish. I have a translation due this Thursday. Sailboat owners are big dreamers, so I'll have to think up a slogan to end these posts. How about, "Sailboat Dreamer," more like "Sailboat Slave". 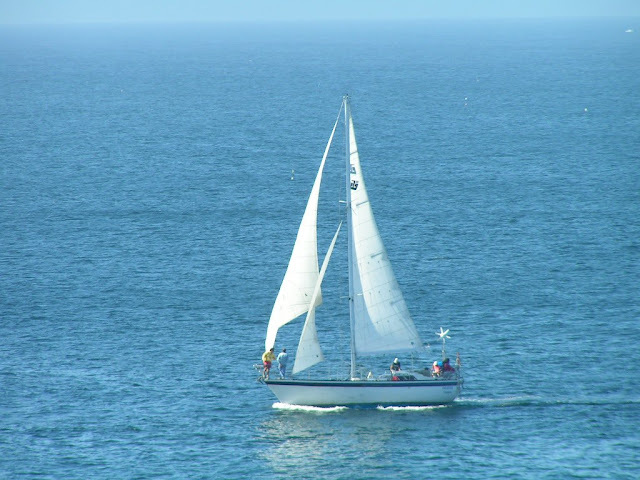 Well, just another dumb idea from your typical "Sailboat Escapist".